When looking for a new position as a new sourcer, eventually the point will come when you need some help and some guidance from someone who has been there and done that. You will seek advice on how to interview, which job is best for you, the offer itself, as well as continued support to help ensure you get it right. That’s where a mentor can come in. A mentor is someone who is an experienced and trusted advisor that has the industry knowledge to help and guide you through the twists and turns of finding a new position. When the time came where I was getting in over my head, or so I thought, I reached into my network and found my mentors. I was lucky and got two of the best most respected staffing professional out there; Steve Levy and Derek Zeller. Now I know what some of you might be thinking; my father is Dean Da Costa, so why do I need a mentor? Well, sometimes you need to hear advice from people other than your father. In talking with my mentors, I learned a lot of things that were new to me, such as the idea that interviewing is a two-way street and that I am interviewing them as much as they are interviewing me. This revelation helped me a lot in deciding which position was the right one for me. In most cases, my mentors knew the managers, companies and management structure and were able to help me select a new job that would give me the best chance to succeed. Given this was one of the first few jobs in the sourcing world I had, I knew I needed to make a selection that would allow me to succeed the best. This meant having a manager and management structure that understood and knew how to not just manage me but push me to be better. I also learned something, that is somewhat old, but still, very appropriate even today, follow up. I learned of the importance of follow up through sending thank you emails to people who took time to speak with me. This is something I got from Zeller. He explained that follow up and thanking someone accomplished several notable things. First, it shows you are interested in the position and that you understand what they need. Second, follow up shows you are polite and appreciative of the opportunity. Third, it can help keep doors open for the future. At one point in my current position, my manager, who was new to managing remote sourcers, and I had some issues. Neither my manager nor I was sure how to handle it. I turned to my mentor, Levy, to talk about it. He listened to me, and thought about it and realized it was a bit of a communication issue. He gave me a great idea of how to handle it, specifically over communicating. This to me was new, as I had always thought, you do not want to overwhelm your manager with emails and messages. However, Levy assured me for remote positions with a new manager to remote employees; you want to communicate over and over again until they say stop. So I did, and well the rest is history as things are going great. My father, who is also my mentor, told me a story, about how he had his dream job with a fantastic company and an excellent manager. Then his manager left, and he moved to a new group. All of a sudden his dream job became a nightmare. He helped me realize that a manager is very significant, but the fact people come and go, the whole management structure is essential. In learning this, I made sure to do my research and rely on my mentors and others to help me pick the right opportunity. I can now say I have been in my current role for a few months, and am doing great. I have a great manager and a great vision for what my company wants out of sourcing and where I fit. The moral of this story is, if you don’t have a mentor or five, get one. Mentors are what allow us newish sourcers and recruiters to have the best chance to succeed. In our industry of recruiting, staffing, and sourcing there are a lot of people who freely give of their time to help others. Whether it is training, mentoring, or helping to find a job, they are there, and you don’t have to go any further than SOURCECON. In my limited years, I have discovered SourceCon a treasure trove full of people who not only want to help but go out of their way to help. Earlier I mentioned, it’s like having a family. My father has been in the staffing world for a long time. He calls SourceCon a family reunion. I can tell you this, in the few times I have been there, that family has opened its arms and accepted and helped me. 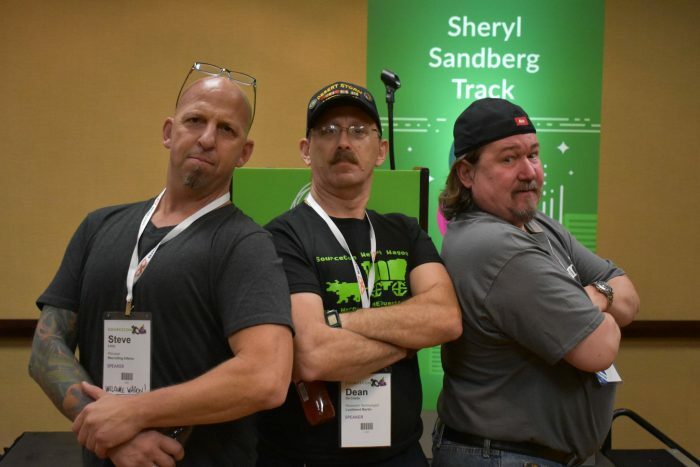 All my mentors are part of the SourceCon family. So get a mentor, go to SourceCon, become part of the family.